Manchester United will reportedly have £200 million to spend in the summer transfer window. 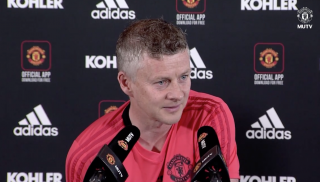 That’s a huge opportunity for the new manager to come in and immediately sign the players he needs to adapt the squad to whatever philosophy is put in place. 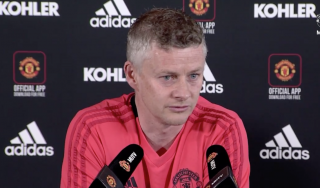 Of course, United should have a director of football appointed before the summer and that should see the club operate differently when it comes to transfer activity. 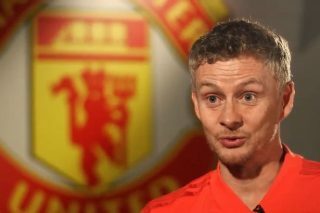 The Sun claim caretaker manager Ole Gunnar Solskjaer is strengthening his case for the full-time gig, and he could be given as much as £200m to bolster his team. 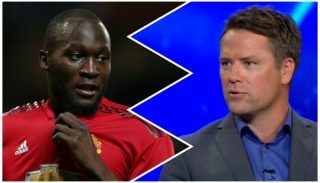 United might make more or less than three signings when the transfer window reopens, but here’s three we think would make a positive impact at Old Trafford, using the £200m sum against reported valuations. Nicolas Pepe to Manchester United speculation has done the rounds since the beginning of the season. It can only lead you to think we’ve had scouts watching the Lille winger, as reported by the Manchester Evening News. Transfermarkt value the Ivory Coast international at €40 million, which is likely to rise by the time the summer comes around. This season, in Ligue 1, Pepe has 16 goals and 8 assists to his name (via WhoScored) with another few months remaining before the 2018/19 campaign ends, and United could do with a goalscorer coming in from the right. He’s made a notable improvement since year when he netted 13 league goals. 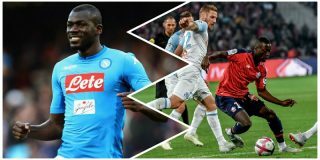 Manchester United have a plan in place to continue their pursuit to sign Napoli’s Kalidou Koulibaly in the summer, as initially reported by ESPN. This is an opportunity to sign one of the best centre-backs in world football, therefore, a chance too good to miss out on. If the club spends big on anyone in the summer transfer market, please make it a top-class defender like Koulibaly, though we are certain to face interest from other European clubs searching to bolster their defences. The Daily Star reckon United could get Koulibaly for cheaper than they though, with a new report suggesting he could leave Serie A for £87.5 million. Just pay whatever it takes! A fine prospect from Serie A, Nicolo Barella could be the answer to Manchester United’s problems in midfield. While Ander Herrera is back performing to his best, and the same could be said about Paul Pogba and Nemanja Matic, United are light across midfield after selling Marouane Fellaini to China. 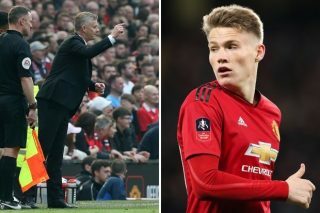 He had been tipped to move in January, with The Sun citing a report from Gazzetta dello Sport to suggest United were entering a transfer battle with Premier League rivals Chelsea for the £43 million-rated midfielder. The same report claims Barella would find it “impossible to say no” to United if we knocked on Cagliari’s door, but Chelsea could be serious about signing the 21-year-old after getting rid of Cesc Fabregas and knowing Mateo Kovacic is only at Stamford Bridge on loan. With the reported valuations, United would be sure to have near £30m available to sign another player, though we fully expect Pepe’s valuation to rise by the time the transfer window reopens.